Abu Bakr Muhammad b. Yahya b. al-Sa`igh, known as Ibn Bajjah, was born in Saragossa in the north of Spain during the years 475-80 A.H., and died in Fez (Morocco) in Ramadan, 533 A.H. (1139 CE) Besides philosophy and mathematics, Ibn Bajjah was well-versed in botany, astronomy, logic, grammar, literature and music. He was a poet of great merit, and also composed music and excelled in playing upon the `Oud. 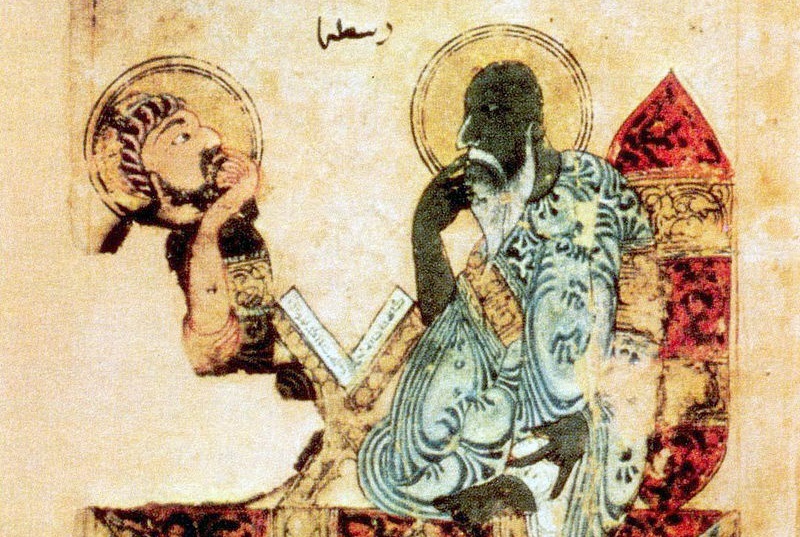 Ibn Bajjah wrote several commentaries on Aristotle as well as independent works on astronomy, philosophy and music. 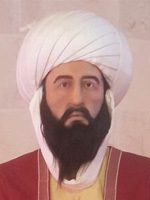 The early sources usually mention him as "al-Wazir al-Hakim" (The Philosopher Prime Minister). Politically, Ibn Bajjah had gained name and fame, having held the post of Wazir for two rulers. First it was at Saragossa which had been annexed by the Almorvids (Al-Murabitun) in the year 503/1110 and where their Governor Abu Bakr Ibn Ibrahim al-Sahrawi, known as Ibn Taifulwit ruled. There after, Ibn Bajjah was appointed to the highest post of the Vazir by the ruler Yahya b. Yusuf b. Tashufin which he held for 20 years. 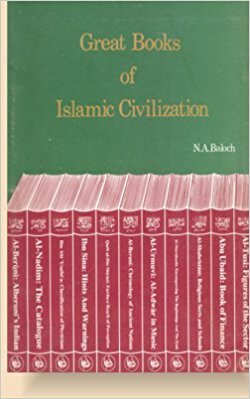 According to Ibn Khaldun, Ibn Bajjah was as great as Ibn Rushd in the Maghrib (West) and Farabi and Ibn Sina in the Mashriq (East). Ibn Bajjah's original Arabic writings have survived in a Compendium which was edited and transcribed by his pupil Ibn al-Imam, and in a few Hebrew translations. His philosophical thought is reflected in Risala Ittisal al-`Aql bi al-Insan (Treatise on the Unison of the Intellect with Man) and Kitab Tadbir al-Mu`tawahhid (The Regime of the Solitary). The more celebrated and the more complete of his works which has survived is Kitab al-Nafs (The Book on the Soul), a philosophical treatise on psychology which influenced later scholars including Ibn Rushd. Ibn Bajjah exercised great influence on contemporary thinkers, Ibn Tufayl (d. 581/1185) and Ibn Rushd (d. 595/1198) in particular and the Latin scholars of the Middle Ages in general. His Latinized name 'Avempace' was popular among the Hebrew and Latin scholars in those days. His treatises, the Tadbir al-Mutawahhid, the Risalatlat al-Ittisal, and the Risalat al-Wada' were translated into Hebrew, and widely read in Europe. Ibn Rushd acknowledges in his Talkhis Kitab al-Nafs that what he has expressed concerning the Mind is the view of Ibn Bajjah. However sometime Ibn Rushd also re-examines and criticises the philosophical views propounded by Farabi, Ibn Sina and Ibn Bajjah as well. The text of Kitab al-Nafs was originally complete but, later on, Ibn Bajjah's friend and disciple al-Wazir Abu al-Hasan Ali Ibn al-Imam, through whom his writings have survived, lost a few pages from the end of the book. Like his Kitab Tadbir al-Mutawahhid, Ibn Bajjah refers to Kitab al-Nafs in terms that clearly indicate that it is his original and independent work, while he refers to some other works of his as notes or commentaries on the works of Aristotle. I. Nature of the Soul. VII. Taste, the faculty of perceiving flavour. VIII. Touch, the faculty of perceiving the tangible body. IX. Common Sense, a sense composite of the five faculties, from Sight to Touch. Ibn Bajjah's Kitab al-Nafs, as a philosophical treatise on psychology, is the earliest text known so far that gives the gist of all the three books of De Anima of Aristotle. Besides, Ibn Bajjah refers to Plato, Alexander of Aphrodisias, Galen and Themistius. Of the Muslim philosophers, he refers to Farabi admiringly and also mentions Ghazzali with respect and reverence. In Kitab al-Nafs Ibn Bajjah offers for the first time, a complete and comprehensive survey of peripatetic psychology as well as the Islamic view of the Soul and its faculties. Ibn Bajjah has relied on the works of Farabi in dealing with philosophy and logic, but has made considerable additions. He has adopted an entirely different method of philosophical investigation, in so far as he has based his metaphysics and psychology on physics. He brings his discussion of the soul by stating that bodies, natural or artificial, are composed of matter and form, their form being the permanent acquisition or the entelchy of the body. According to him, knowledge in man means his seeing the existents together with their perfect existence in his intellect through the insight of his soul which is a gift of God. The 'gift of God' is of different grades in different men, the greatest insight being that of the Prophets who perfectly know Him and His Creations. Thus, in his philosophical system, Ibn Bajjah began by describing ‘Aristotleian Psychology’ and finally arrived at the concept of prophecy and revelation -- as was arrived at by Ibn Sina. Imam Ghazzali dealt with the subject in his Mishkat al-`Anwar. Of its two later copies, the one is preserved in the Bodleian Library, Oxford, while the other which_ was in the Berlin Library was lost during World War-II. A third manuscript, containing Ibn ah's writings on Logic has survived in a mass. in Escurial. A forth one, containing one more treatise not to be found in the Bodleian and the Berlin manuscripts, is preserved in the Tashkent State Library in Uzbekistan, USSR.